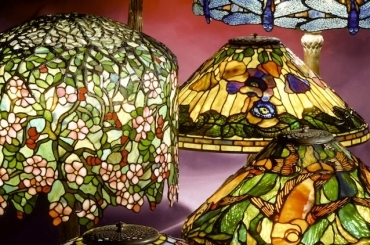 The 16″ Fish shade is one of our favorite Tiffany Studios lamp designs. The shade features five colorful Koi swimming lazily in rhythmic formation across the surface of the shade. Created in 2006, this shade has watery tones of green tinged with amber, purple and red highlights. 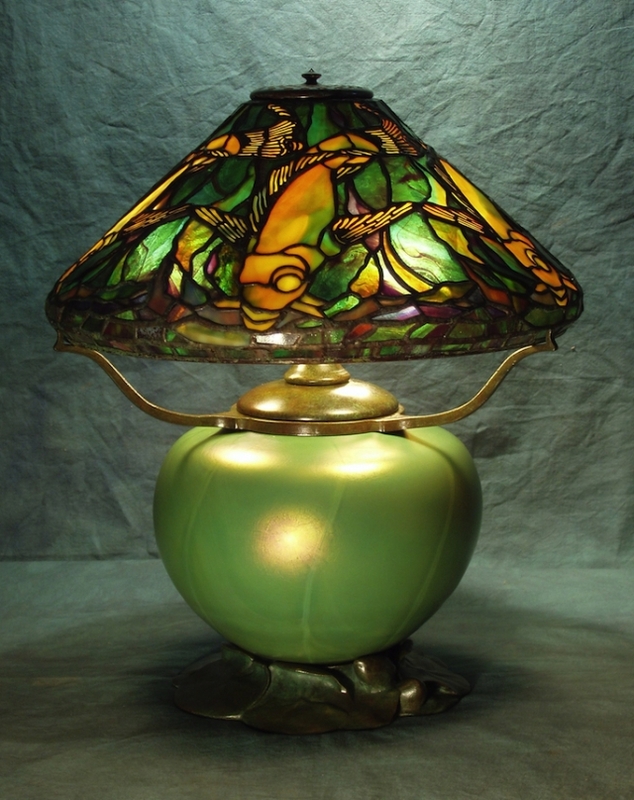 The shade is shown on the Blown Glass & Bronze Lily Pad base. This unique base is made at Century Studios with a blown glass insert made to our specifications by Lundberg Studios.